Cold. – Life Is Such A Sweet Insanity. 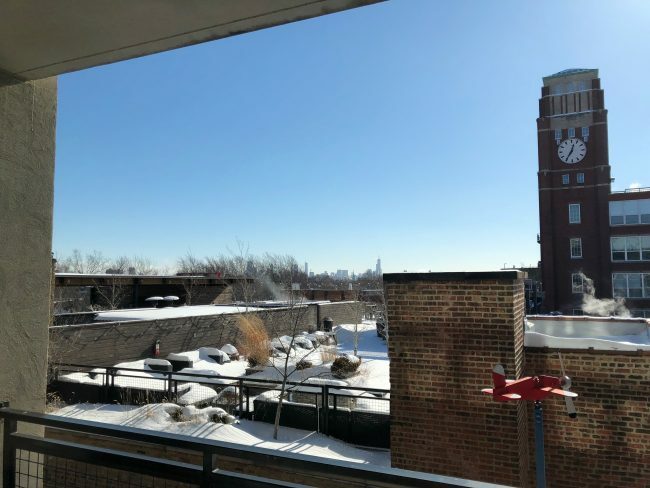 It is -15ºF with a wind chill of -37ºF during my lunch hour here in Chicago. The wind is out of the west at 15 MPH and there is zero cloud cover. I don’t need a fancy hashtag or scary sounding names like “Polar Vortex” (though I did enjoy one of those at a fast food place a couple of years ago) to relay the information that it’s cold outside. It’s very cold outside. As beautiful as the sky looks, I’m going to refrain from going for a walk today simply because it would not be enjoyable. I like to enjoy my walks. The CTA Brown Line is passing by our building with scheduled regularity. Folks at the CTA are working hard to keep Chicago moving. Their Twitter feed shows they’re addressing issues as they arise. CNN likes showing images of train tracks being set on fire to unfreeze frozen switches. Fire gets the attention when you’re browsing a website. It creates more web clicks. The news outlets have been telling us about these bitterly cold temperatures for a week, so I’m sure most reasonable folks were prepared. Earl made sure we had what we needed in the cupboards and fridge. He’s good like that. It’s cold out. It’s very cold out. But the sunshine still brings warmth and tomorrow is another day. Don’t be hysterical. Just keep calm and carry on.